Apartment in Palermo Soho, Buenos Aires - White & Bright ! This minimalist 560 square feet studio apartment has great views, pool, sauna and gym, centrally located in the heart of Palermo Soho – It's a must. 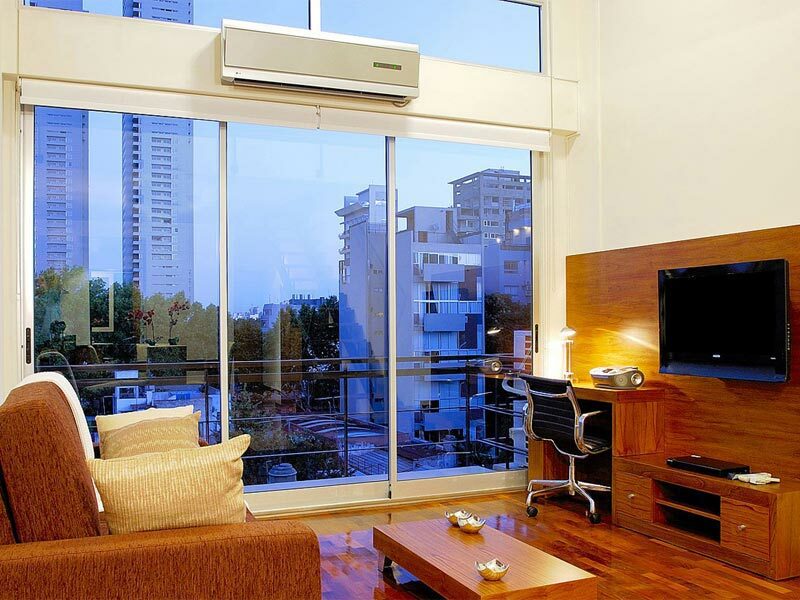 Positioned in an apartment block that was completed in 2011, this apartment for rent in Buenos Aires is the perfect alternative to a cramped hotel room and comes fully furnished. Featuring a 32’’ TV with cable, open plan kitchen and a king sized bed, it's the perfect place to use as your base in the City. The apartment benefits from having its own private balcony and being on the 8th floor of this block gives you great views both day and night. Last, but certainly not least, this apartment comes with full access to the building's personal gym, sauna and pool area – Get fit whilst on vacation!